Hi everyone, I’m back! 我回来了！ただいま! For the past five weeks, I was visiting family in Shenzhen, China and travelling in Japan expanding my language and culture skills. I drank a little bit of baijiu (“Maotai”) during a family birthday celebration, and carried my backpack around Japan and avoided the sake! Now I’m back at the desk and feel replenished and ready to face the year of work ahead. 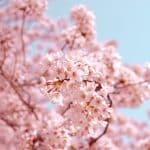 For a good start, I think it would be fun to share my observations with you all. 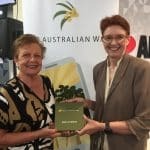 Shenzhen, A Window to the Modern World and Australia – Congratulations You’ve Won Yourself a Slice of the Pie! Shenzhen is a young city in its mid-twenties. The modernisation of this small country port only started in the late 1970s, after Deng Xiaoping’s Reform and Opening policy was introduced. Since then the port has grown and its economy flourished. 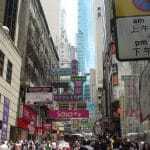 It is now a modern city and a major financial centre in Southern China. I enjoyed and blended into the local daily routine, one of which was going to supermarkets and shopping malls. One day I was walking past the food and dairy section at my local supermarket inside a big shopping mall. 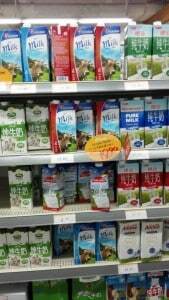 I was very happy to see a few Australian dairy products on the shelf. Well done Aussie, you’ve won yourself a slice of the pie! 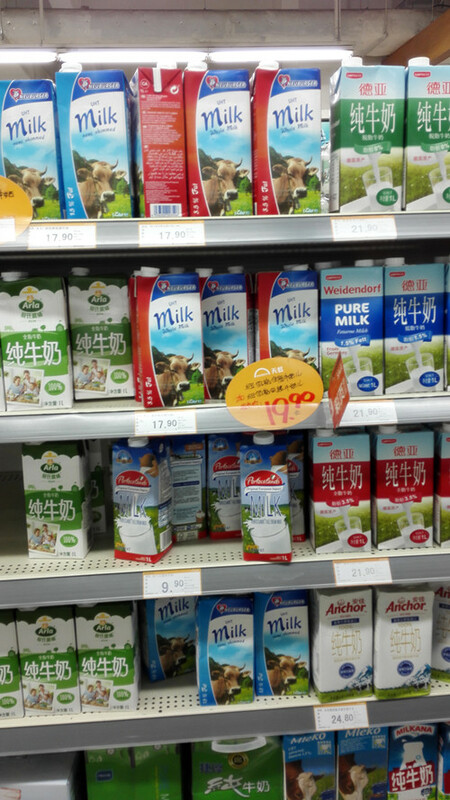 Ever since the infant formula scandal that made Chinese shoppers wary of local brands, Chinese shoppers have been chasing high quality infant formula and imported dairy products. 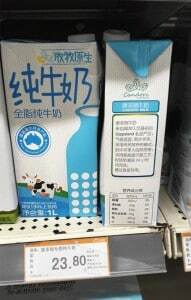 Working with many Australian and New Zealand dairy clients, almost every day here is another dairy label translated by the Chin team! This June, JD – China’s largest online direct sales company launched their Australian Mall together with their local partner QBID. Our senior interpreter John Zhou was there interpreting for the founder and CEO of JD.COM, Richard Liu. It’s excellent news for Aussie businesses. 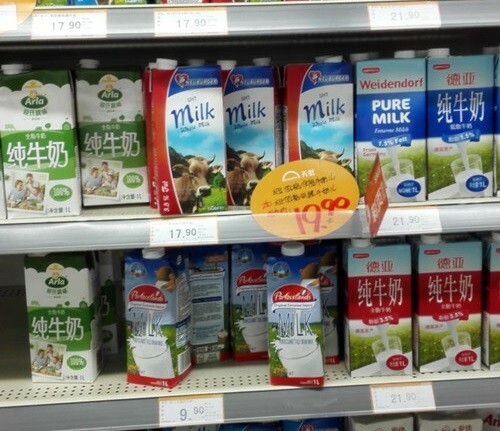 However, my heart soon sank as I saw the other brands inside the supermarket, including our neighbour New Zealand, and European countries such as Germany also on the shelf. I remembered JD’s press release on the Australian Mall launch: “Chinese shoppers can order goods from hundreds of brands and sellers in overseas markets including Australia, France, Germany, Japan and South Korea, the United Kingdom and the United States…” (JD Press Release, August 2015) Obviously Australia is only one stop on JD’s ambitious plan to take over the shopping world. Many choices for Chinese, and fierce competition for Aussies. 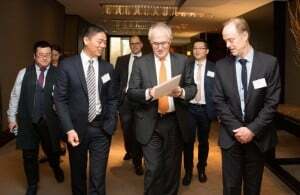 The launch could also be a reminder to all Australian businesses – there are so many competitors after the Chinese – Australian businesses need to work harder on understanding what the consumers want, increasing their brand awareness and standing out from the crowd. We are still at the beginning of the long march. 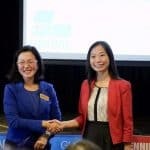 Apart from its modernization and strong financial performance, Shenzhen is also now the world’s next Silicon Valley (click to read our newsletter on this -page 2). Tencent first started their QQ messaging business in Shenzhen. Today its app Wechat is used by 600 million people globally, including over 100 million users outside China (Stephen Chun, ACBC How to do Social Media in China Workshop, 2015). My holiday in Shenzhen really gave me a chance to experience Wechat from a consumer, not a marketer’s point of view. For example, my fifty year old Mum is far more comfortable buying food and groceries with her Wechat account than I am. My cousin uses Wechat to pay the street food stall owner for her cold noodles (Liangfen). Gone the days paying with cash! She just needs to make an order on her Wechat, pay for it and pick it up, easily done! 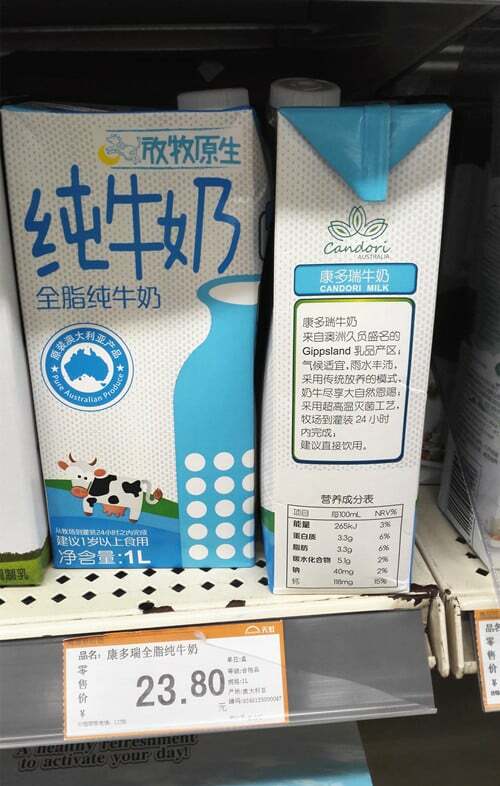 And shops in China understand how to get more buyers to follow their accounts. A frequently used strategy is to offer customers a special price, or a red envelope (money) if they pay with their WeChat account. Wechat account for a local Chinese cold noodle shop in Taiyuan, China. Gone are the days paying with cash! To do so they automatically subscribe to the shop’s Wechat account and they will receive promotional information through the Wechat account, constantly reminding them to make another purchase or to get another special offer! There are two types of Wechat Apps; the first one is called Weixin and this is the one widely used in China by individuals and businesses. For businesses and individuals overseas (out of China) however, they need to use Wechat, the overseas version. For a number of reasons and censorship concerns, Wechat messages are not accessible for people in mainland China, which means Australian businesses with an official Wechat account, will not be able to engage with or be accessible to mainland users. However, it could be a starting point to engage with local Chinese communities – don’t forget the 100+ million overseas users! For businesses wanting to use Weixin to engage with Chinese customers in Mainland China, they need to have a Chinese representative (with a Chinese passport and relevant business documentation) to register a Weixin account. Weixin’s function has surpassed Weibo as a source for information and marketing promotion, with potential for connecting to people’s bank cards or other payment channels. It integrates social sharing with online transactions and customer relationship management, can be used for product/service promotion, customer loyalty management as well as relationship management. Many Australian business would probably like to get a Weixin account. However I would also like to point out some other important investments in order to have a well-managed Weixin account and succeed with it. What about resources and talent? You need to have a knowledgeable and dedicated team to help you run for it; for many small and medium Australian businesses, again they are a long way from reaching that stage. Back to the shopping mall. It was nice to take a stroll and see what was on offer, but next time, I’ll probably let my fingers do the walking and go to the park instead!